A couple. An urban apartment. 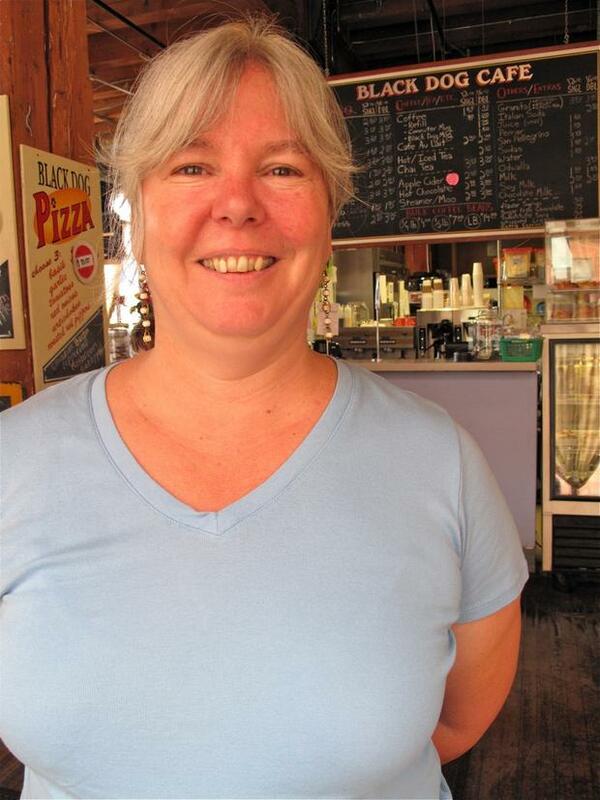 Transitioning careers and an emerging neighborhood. Lynn’s new virtual office in the Solhavn Living Room. Six weeks has passed since John and I loaded up our remaining downsized possessions, left our beloved Lowertown apartment in the Cosmopolitan and migrated to Solhavn, a new residential building located in the emerging Minneapolis North Loop neighborhood. Exciting, adventurous, exhausting and scary, we’ve learned a few things by making the transition to a simpler, more streamlined existence. 1. It’s easier to see what matters. As our sporty Mazda 3 rolled away and the leather sofa was carted off, what remained were the positive impressions of the people we had sold them to and the fact that we had each other. No matter how difficult we thought it might have felt to let go of our “stuff” we realized that waking up together was the most important thing. 2. Life is easier with less. Coming from good German stock, and having the subsequent “everything-must-be-spotless gene” in spades, owning less furniture (we purged 13 pieces) means that I have less dusting to torment myself over each weekend. Our home is furnished with comfortable essentials, minus the fussy surfaces that really didn’t serve us well and soaked up precious time in upkeep. There are also far less under utilized sporting goods, clothing and housewares to store, dialing down the “my stuff/your junk” tension in our marriage. 3. 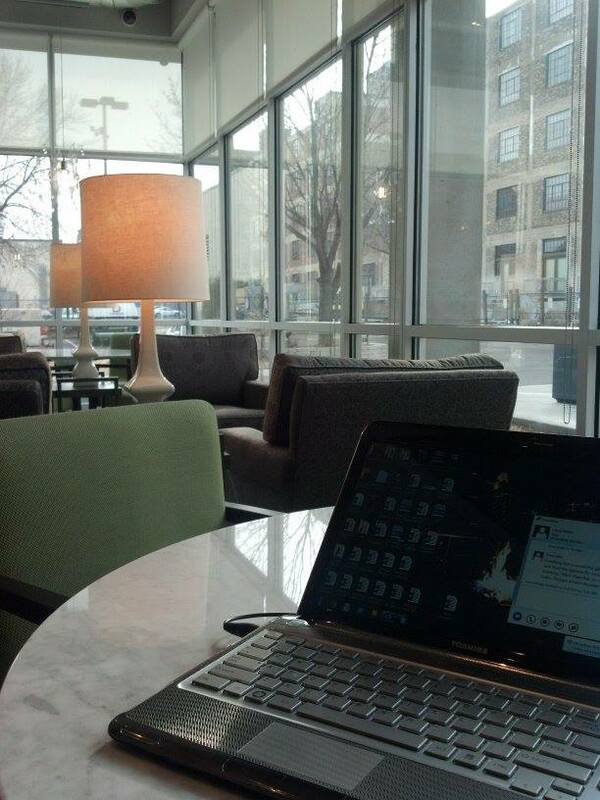 Living close to work and interests and having good telecommute options, enhances daily life immeasurably. Traveling less between work, hobbies and home has made the stress level go down significantly in both our lives. Even without car ownership, I have a number of options available to me to travel the less than one mile to my company’s new office. On some of the dangerously cold days this winter, it’s been easy to set up my virtual office in the Solhavn living room. John walks to the downtown studios to record commercials and we both hop the city bus with our skis in tow to take a quick 10 minute ride to the Wirth Park Chalet. When summer arrives, our options will only increase with the Cedar Lake Bike Trail and Mississippi River Parkway at our doorstep and three Farmer’s Markets at which to shop. Our first weekend in the North Loop we made friends at the counter of Mill City Cafe over Sunday brunch. totally different planet than our old neighborhood. People dress different, have different hobbies and interests (there are many more like-minded athletes in our new building) making the new friendships we’re forging interesting and exciting. We’ve been so inspired by the change that we’ve volunteered to start a Yoga Club and an Urban Gardening Club in our residential building! Change is hard, but has its rewards. Let the new adventure begin! 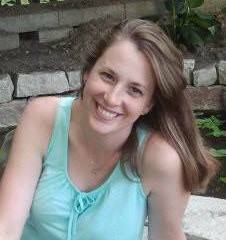 Without a doubt, Sara’s smile and warm welcome will be missed when we move to the North Loop next week. With only a week remaining until our move on the Urban Deluxe countdown calendar, the last pieces of sale furniture making their way to new homes, donation-making and packing in its last stages, John and I are taking a last look around our Lowertown St. Paul neighborhood to say our goodbyes. One of the most difficult parts of our life to let go of will be our second home at the Black Dog Coffee and Wine Bar. Nestled on what was once an obscure backstreet, but will soon contain the maintenance hub of the Central Corridor Light Rail system, the Black Dog has been where we have met friends, listened to great music, enjoyed a constant rotation of innovative and local art as well as gotten to know friendly baristas and proprietress, Sarah Remke. After leaving a secure job to dive into start-up, mission-based entrepreneurship, the Black Dog was my office. Sarah and her crew know the story of how I started my company, and all about my staff, many of whom live with disabilities. They have supported and encouraged my work, evening donating gift cards to our first company picnic. They have become a part of the story of our life here in many ways and it will be an adjustment not to have them be a part of our daily routine. John and my weekly Sunday ritual of attending meditation and the dharma talk at the Clouds in Water Zen Center, then migrating down the hall for a leisurely dark roast (for me) and triple shot espresso (for John) at the Black Dog, will be over after this weekend. It is with tears in my eyes that I think of that and write this blog entry. What can make a place that special in the hearts and minds of a neighborhood? That could be difficult to say, but I’ve got to try. First, we’re certain that the Black Dog has, hands down, the best coffee in the city. They’ve got an amazing cup of standard brew and unparalleled espresso. This has been perfect for us as a couple because both of our signature drinks are covered. An artist’s view of the Black Dog, where great music, wonderful art and friends always greet you. Second, local art and music abounds here; that kind of atmosphere takes you out of yourself and calls you to be something better every time you’re around it. Part of the reason we moved to Lowertown was to support the arts community and immerse ourselves in it. However, I don’t think we’ve always understood how much being around local art and music has prompted us to discuss and think about things we might have otherwise ignored in the world around us. That experience has made us grow as people and happens every time we walk through the Black Dog’s door. Third is that the Black Dog truly is the place where everyone knows your name, or at least acknowledges that you are part of the community. There are neighbors we only interact with at the Black Dog, many of whom we never exchange names with, but whom we greet weekly and speak with often. That type of feeling is something you can’t force or manufacture; it comes from an atmosphere where people are welcomed and respected. Whether the day has been bad, or good, the Black Dog is a place you can go to relax and, with the nod of a head from a neighbor or barista, know you’re accepted. 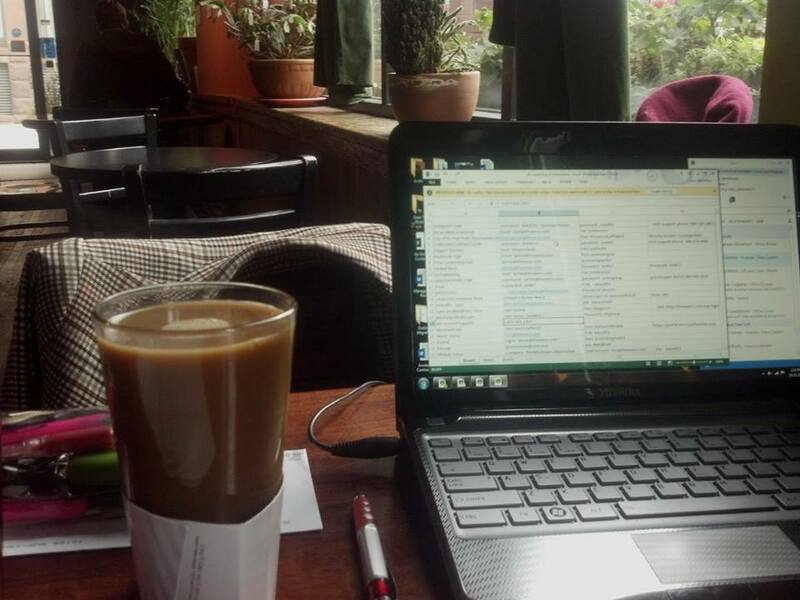 A view from my Black Dog virtual office, stationed at a familiar table near the window. Fourth is that the Lowertown artist community holds court at the Black Dog every day of the week. To those of us who work jobs that are far less creative and live lifestyles not quite as avant-garde, you value being able to eaves drop on stimulating conversations about who sold one of their pieces and who just got an exhibit somewhere. I’ll admit it. I live vicariously through these folks when managing staff issues and trying to pay the bills for a struggling little startup seems overwhelming. Drifting away on their conversation, I can imagine myself living in the Tilsner, throwing a pot on a wheel or boldly placing paint strokes on a canvas while preparing for the next Art Crawl. 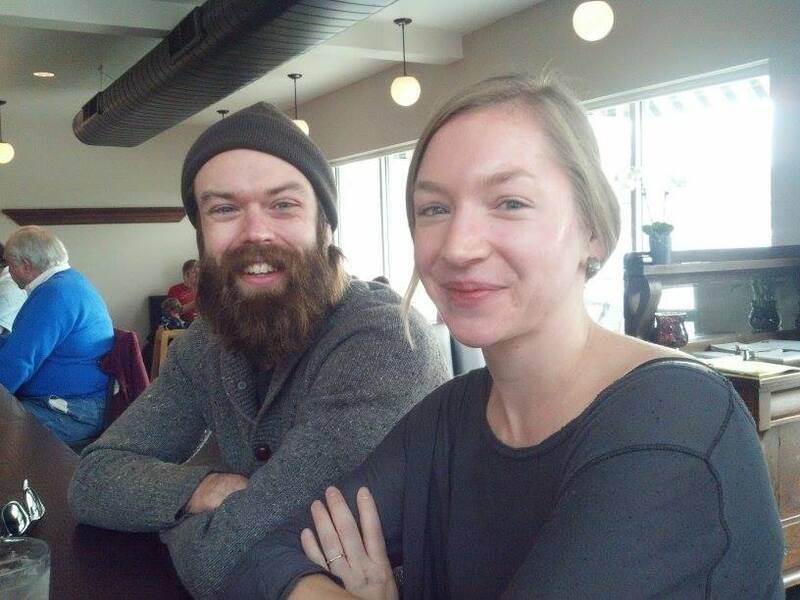 There will be no replacing the Black Dog Cafe in our new neighborhood, but we look forward to keeping the people, and the coffee, we’ve enjoyed in Lowertown deep in our memories into the future. We also gently remind ourselves that, despite that fact that we are now carless, the rail line just outside the Black Dog’s door will connect our new Minneapolis North Loop home to Sarah, the baristas and the coffee in just a few short months. John riding back from the bank with Diana, the really cool person who bought our Mazda 3 last Saturday. As the Urban Deluxe blog page count down calendar ticks away with less than a month remaining until our migration from Lowertown to the North Loop, we realized that it was time to engage in the ultimate act of downsizing: selling our car. Our beloved Mazda 3 was something we had purchased a few months prior to our wedding two and a half years ago and, in many ways, it felt like a part of our family. With John’s cool Thule rack fitted to the roof, it had whisked us off on a romantic ski honeymoon to the kettle moraine’s of southern Wisconsin and on many other trips and adventures. Daily life was also going to be vastly different. The transition was less pronounced for me, given the years prior to our marriage that I lived with transit and car sharing as my primary means of transportation. However, with John’s agent’s office, Moore Create Talent, located on the west edge of Uptown, and the studios he often works with, like Audio Ruckus, being located in downtown Minneapolis, getting to voice auditions and recording sessions was going to be a new experience for him. But, with carsharing stations near our home in downtown St. Paul and additional options, like Car2Go, now available in the North Loop, we knew that we’d still have the option to use a car for errands difficult to execute on foot or by bike now, and after our move. John valiantly posted the car on Craig’s List and we waited for inquiries. 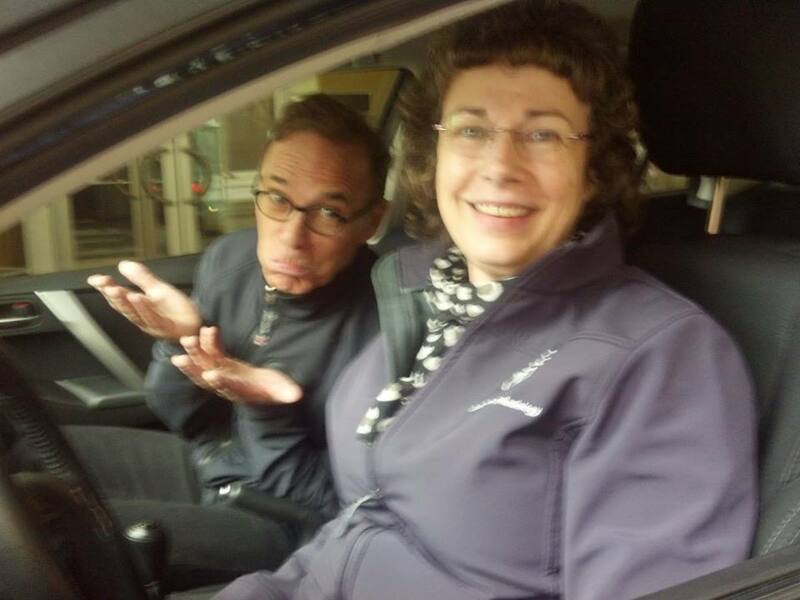 It took only a week before received a solid “bite” and, within two, the car’s new owner, Diana, was driving us back from signing papers at our neighborhood credit union and dropping us off at our door, on her way back to her home in Rochester. A little stunned by how quickly we had been able to divest ourselves of our only vehicle, we watched our beautiful black Mazda drive into the sunset. “We need to get groceries this weekend,” John commented when got back upstairs to our apartment, so we reserved the local HourCar for our trip to Mississippi Market for later that afternoon. 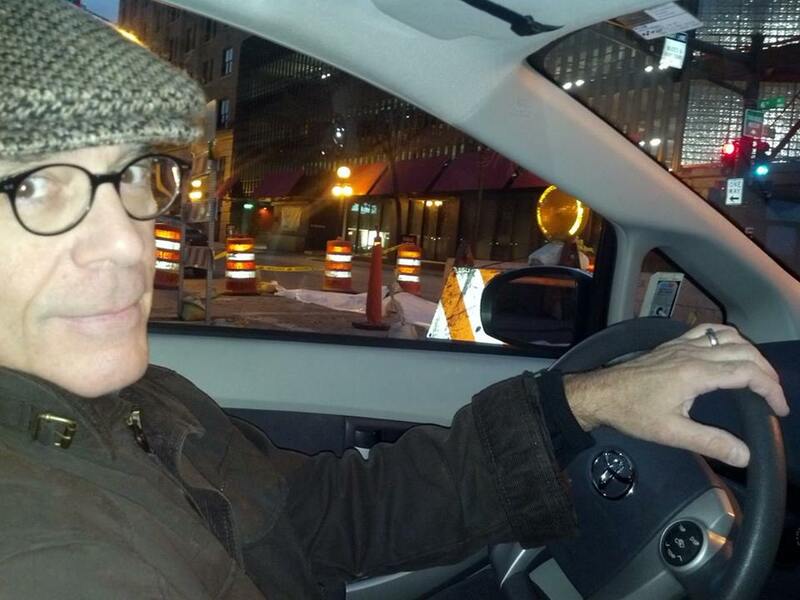 John driving the HourCar Toyota Prius on our inaugural “carless” trip to Mississippi Market. especially surprised by how relaxed he felt at the end of our first carless week. When you take into account that these words came from a man who has been a car owner his entire adult life, and is also an avid car buff–one who can give you make, model and year of any classic car by spotting the flash of a tail light in the dark–you can begin to comprehend the power of what going carless can mean. Though our decision to go carless was a necessary step we needed to take to sustain my ability to keep working in a mission-based startup business, it’s incredible to see how much both of our lives have already been enriched by letting go of our car, in just one week’s time. Solhavn’s Open and Snowmen are Welcome! 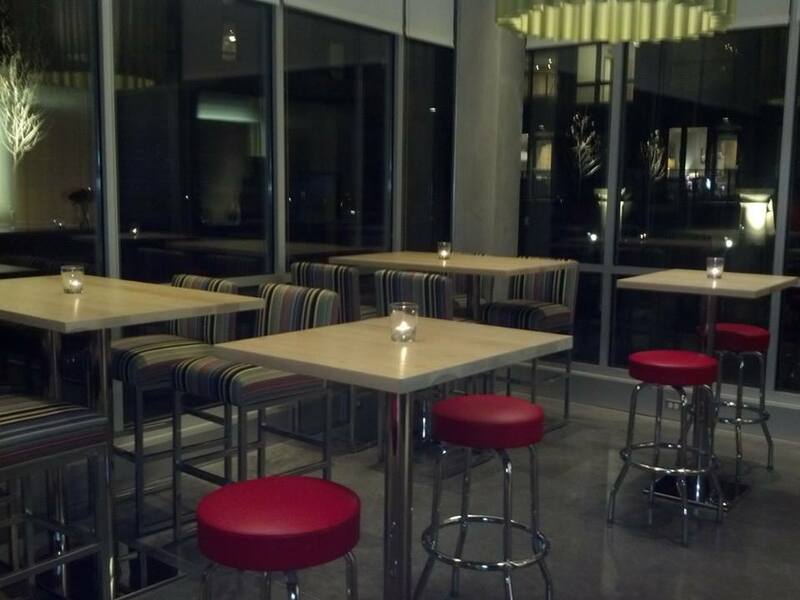 The new Brew Pub at Solhavn where we look forward to meeting our new friends and neighbors. Last week, John and I were given the opportunity to meet our new neighbors and explore our future home at Solhavn’s grand opening party. 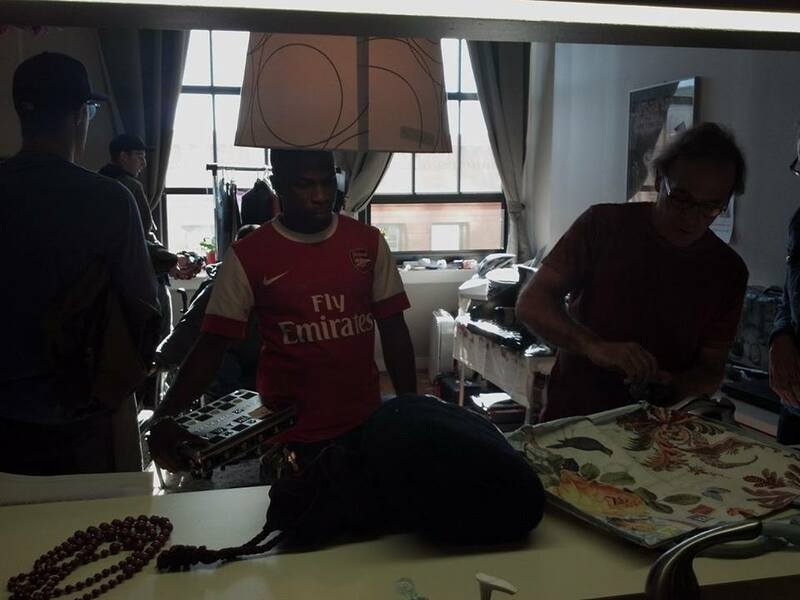 The building was filled with new tenants, well-wishers, potential residents and live jazz music. We wandered the premises marveling at the elegant appointments and well-equipped public spaces that will soon be part of our home. One the added bonuses we’ve been enjoying is meeting some of our new neighbors via our blog! Getting to know people in the Urban Deluxe neighborhood prior to the move has really ramped up the anticipation level. It’s great that people are reaching out to us and we’re visualizing some great chats with them in front of the fire in the lobby’s Living Room or in the Brew Pub in just a few short weeks. 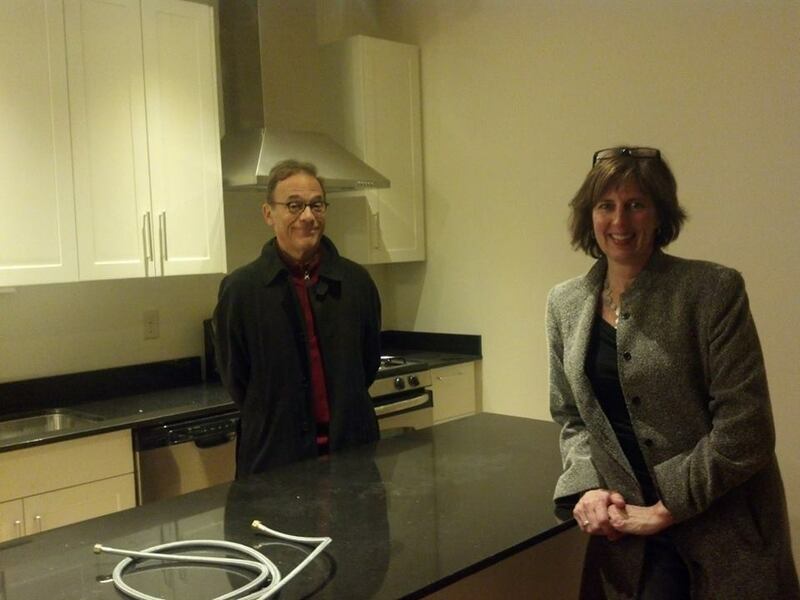 John with our building’s new general manager, Stephanie, showing off our new kitchen. (Precore machines! Yes!) and a lovely yoga room. Being part of a building that has a well-built social aspect to its resident web portal means that we’ve been able to post a “club” notice and are already getting positive feedback about creating a resident yoga group within the building. But I have to say that the best part of our experience of preparing for our move to Solhavn has been the great interaction we continue to have with the building staff. Shortly after we entered the celebration, Stephanie, our building’s new general manager asked us if she could show us our new apartment. “I’d be honored if you’d let me be the one to show you,” she said. At that moment, I knew we had selected the right home. Even snowmen are welcome here! Frosty will be welcomed at Solhavn, along with all of our other memories. Our sale was casual but effective: using our hallway coat hooks to display coats and handbags. Going on month two of our downsizing efforts, John and I are discovering a number of ways in which we can divest ourselves of our belongings. Craig’s List and our building’s bulletin board served to empty our apartment of a number of key furniture pieces such as our leather sofa, two dressers John owned and my dinning room set. But, after diving head first into the storage compartments outside of our apartment last weekend (don’t ask how many) we realized we had a number of smaller items that could probably be moved along to our fellow residents via tag sale. Being in the same building for 7 years means that you accumulate a few things, memories being the chief among them, so we took the time and effort to invite the entire building to a combination “Goodbye Open House/Tag Sale,” which was executed yesterday morning. Due to some careful planning and well-timed promotion, it was highly successful. We were able to share coffee and conversation with a number of our neighbors, and the apartment was emptier, and our pockets fuller, at its conclusion. Running a start-up company that is developing a strong social media presence gave me some insight into how to market our little event to the building, the neighborhood and friends. Even a few soon-to-be-downsizers stopped by to see how we were structuring our sale, so we thought we’d share how we did it and what we felt made it work so well. Include an “Open House” in your Tag Sale: Our neighbors, those we knew well and those we were only “head nod” acquainted with, meant something to us. We had lived with each of them for part, or all, of the seven years we had been in the building. We felt it was important to invite them into our home, offer them some quality coffee (purchased from the Black Dog, our neighborhood coffee house) and thank them for being part of our lives. Acknowledging neighbors is an important part of any community, whether you’re entering or leaving it. All of our posters and invitations to our event made it clear that people could stop by to chat, even if they weren’t interested in shopping. Allow Two-Weeks for Promotion: Heard the phrase that buying 12 place-settings of china is too many and 8 is too few? Any more than two weeks of promotion for an event that will be primarily attended by your neighbors, is too far out on the calendar for them to remember. Any less, then they may have already made weekend plans. We banked on people having short-term memories and planted the seeds just two week prior. We felt it was a time span that was pretty easy to keep top-of-mind but yet might also enable people to plan a bit. Use Your Building or Neighborhood’s Social Media Pages: Our building and neighborhood associations and clubs have Facebook pages that many of our building’s residents, and individuals living in the neighborhood, are hooked up to. We implemented a lead-up campaign for our Open House/Tag Sale by posting an initial announcement on these pages, with our photo attached, leaning more heavily on the “open house” aspect rather than the “come buy our stuff” part. We included information about day, time and refreshments in that initial post.Then, each time we referenced the sale in our personal Facebook page posts, we linked the post back to these pages either by mentioning them in the post, or posting directly on the page. Also, in the few days prior, and during the sale, we posted photos and descriptors of specific items we knew residents might be interested in. For example, we have a number of athletes in our neighborhood, so we did a few posts with pictures of our skis, running and biking gear. It was really effective at pulling these people to our sale. One of our neighbors chats with John while another prepares to take home our chess set. In the back are some friends who stopped to take advantage of cycling wear, bike parts and a coffee maker we had on the sale. board posts fresh. We put up a flyer in our building’s mail room at the two-week mark, the same day the Facebook announcement went up, and then put up “this weekend” and “tomorrow” flyers to draw fresh attention to the board. Remember, you’re not the only one using it and if you don’t monitor it, your flyers will likely get covered up or taking down during that two week time period. Invite Everyone Personally: Of all the things we did to promote our Open House/Tag Sale, the thing we heard from our guests as being the most effective and appreciated, was the personal invitation everyone in our building received. “It was so nice of you to invite the whole building,” many of our neighbors told us.Our building has 250 units, so while it wasn’t possible for us to get personal invitations delivered to every door, we did print out small, quarter page invites and got them to about half of the building the night prior to the event. Simple notes that said, “Thank you for being our neighbor for all or part of the 7 great years we’ve lived here,” and invited them to have coffee with us between 9 a.m. and 2 p.m. the next day. No sales push. Just a thank you invitation. To cover the remainder of the building, we posted a flyer-version of the “thank you/coffee” invite at each elevator bank, just above the buttons, early the morning of our open house. Post Signs to Help Them Find You: Depending on the building or neighborhood you live in, you may or may not need this, but we felt it was essential to post good “arrow” signs at the elevator and down the corridor to direct people down our cavernous hallway. We also posted a “door entry” flyer above the security phone in our lobby’s entry way to enable neighbors from outside the building to contact us to be admitted. Keeping the day fun, personal and focused on connecting with our neighbors furnished us with a great opportunity to say goodbye to some great people while we watched them take home things we knew they would enjoy as much as we did. We recommend this approach to anyone who is downsizing! 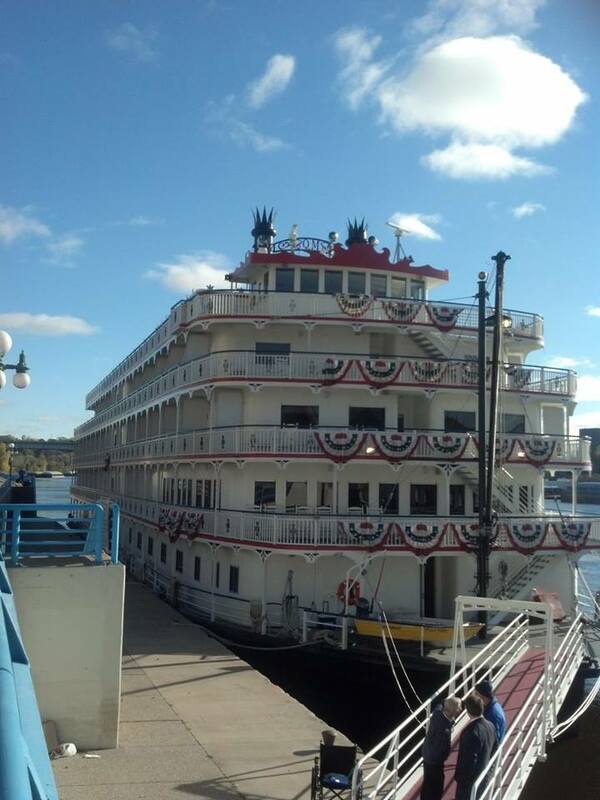 Autumn, and the Queen of the Mississippi, arrive at Lowertown Landing. Autumn seemed to be calling us this morning, coaxing us to put off sifting through our storage to prepare for a tag sale/farewell open house John and I are planning for next weekend. So we donned warm coats, hats, running shoes and answered the summons of the sunshine, and the season, by taking a walk down the riverfront path along Shepherd Road. Trees touched with the breath of autumn greeted us in modest hues of gold and red. 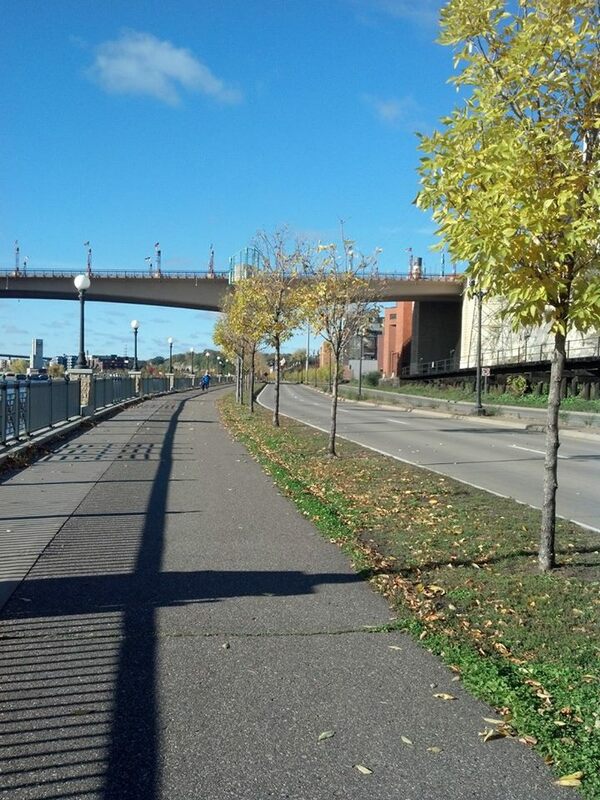 One of the treats of Lowertown life has been the surprises the riverfront can yield on a morning stroll. Today did not disappoint. 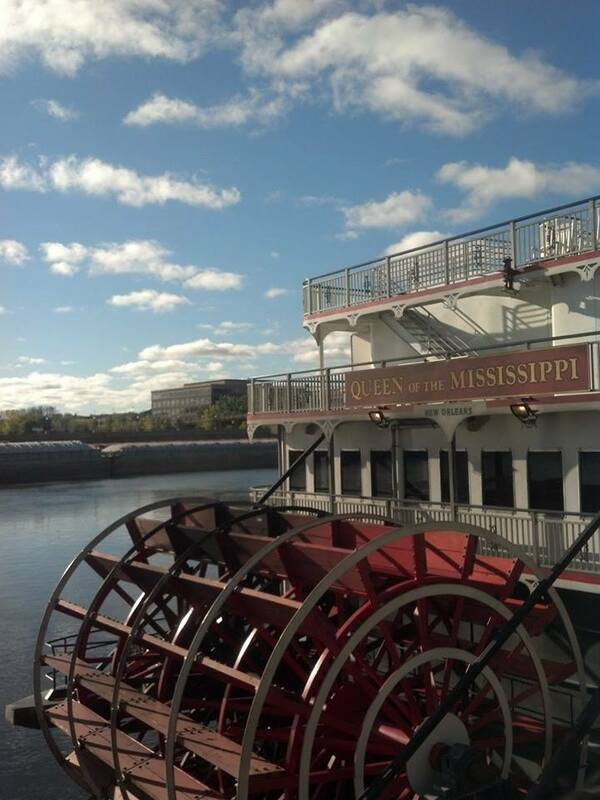 The majesty of the Queen of the Mississippi riverboat, taking on a load of travelers, also awaited us at the end of Sibley Street. 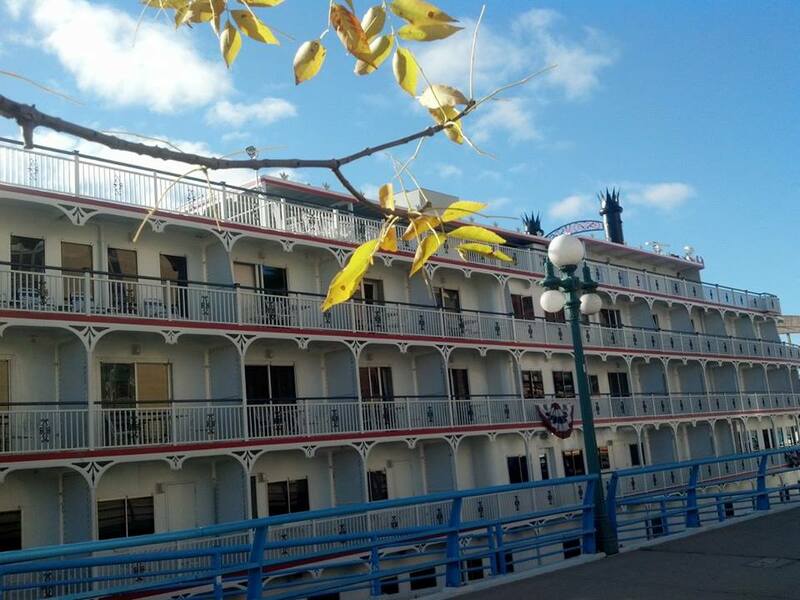 Enjoy the images we captured, on one of our dwindling weekend mornings in this lovely place we’ve called home, Lowertown Landing. 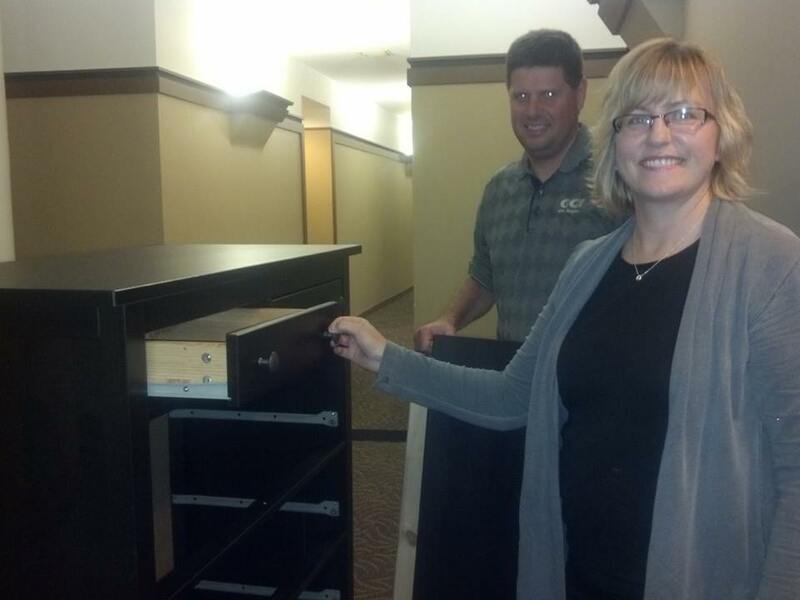 The awesome couple that purchased our dresser and sent us a photo thank you note the next day! With five weeks left before our move to the Minneapolis North Loop, the sorting, listing, selling and packing efforts have escalated in our Lowertown St. Paul apartment. Craig’s List has become a repository for the abundant quality furniture and sporting goods John and I brought into our marriage 3 years ago. As a result, exchanging emails and texts with a wide variety of strangers as far away as Wisconsin, has become part of our daily routine. As John parted with a much-loved sofa last week and we helped the young family from south Minneapolis who purchased it load it into their truck, I gave their 6 year-old daughter a ride up and down the sidewalk on the furniture cart. The simplicity of the moment was topped off when we heard the couple express their joy at finding a beautiful leather couch at a price they could afford. A young woman moving to a new apartment was giddy about finding my black iron four-poster bed. Without reservation, she gave us the cash payment in full when we told her we’d be happy to hold on to it for her for 3 weeks, demonstrating a trust in us that took us totally by surprise. 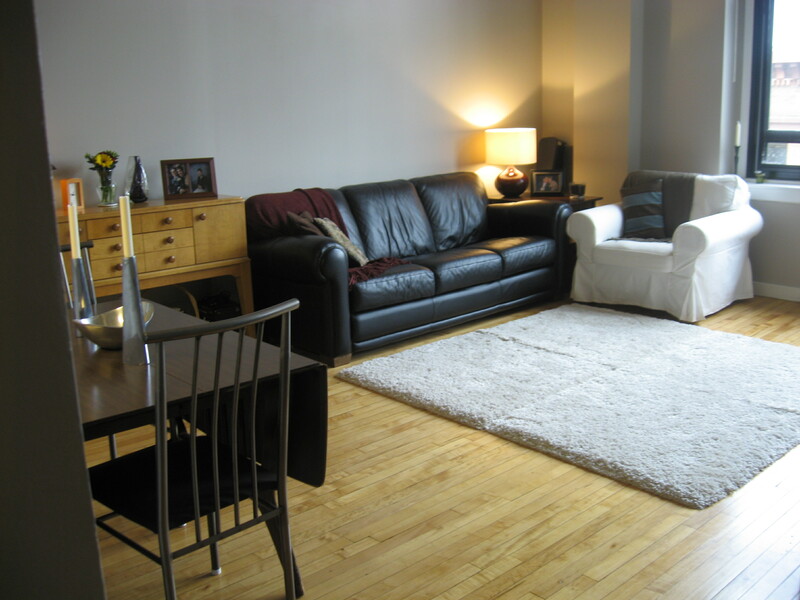 Our beloved leather sofa, and living room, prior to this month’s downsizing via Craig’s List. An affable couple from Eden Prairie purchased John’s IKEA dresser for their son’s bedroom and didn’t bat an eye when we showed them that one drawer was losing its bottom. “We’ll just reinforce that,” they told us and happily, without any mention of paying us less for the piece. They were flattered to pose for a picture I told them I’d like to use in Urban Deluxe and, the next morning, my phone contained a text from them. It was a photo of the dresser in its new home with a “we’ll take good care of it for you” notation. With every sale and each pick-up, we met someone who not only appreciated our taste in home furnishings, but also seemed to understand that we were saying goodbye to a part of our lives. The fact that they were aware of this and wanted to reassure us that they knew the value of what they were taking home, was extremely touching and heart warming. But perhaps the most significant moment of our downsizing journey occurred in relation to the pieces of handcrafted furniture my dad had made for me and some items that belonged to my mother. I knew we couldn’t continue to hang on to these pieces in a smaller apartment and hiding them away in storage didn’t seem right. So I got in touch with a niece, who also happens to be my Godchild. She and her family live about an hour away and had just purchased a home, so it was possible that the might welcome the chance to have some additional furniture. My niece today with the same beautiful smile I remember. I had been very involved in her life, even bringing her to live with me for a summer. But circumstances, including my estrangement from her mom (my older sister) and time had taken their toll and I wasn’t certain if I would be welcomed into her life again. Now a wife, mother of three and a nurse, I was glad to know that she was doing well. I decided to reach out to her and inquired if she would like to have some of her grandparent’s things. Without hesitation she replied that she’d be glad to have them and, last weekend, she and her husband stopped by our home to pick up the heirlooms. There was no discomfort, no shyness and no regrets. All I saw before me was a beautiful young woman who knew what she wanted from life and seemed OK with the idea that I was in it. We laughed and she told us about her kids, her job and plans for the holidays. She issued an invitation to John and I to join in the festivities and paused to reminisce about the family photos we had hanging in the hallway. On her way out, she paused at our front door, hugging me for the fourth time and said, “I’m up here all of the time for work. Let’s do coffee soon.” That’s when I realized what I had gained by letting go. Join the Urban Deluxe Facebook neighborhood!